Your complete cards kit for summer, worth £20! With three fantastic gifts: 15 piece stamp set; 2 embossing folders; fabulous papers, toppers & decoupage. Packed with fab card ideas, step by step guides & expert tips! 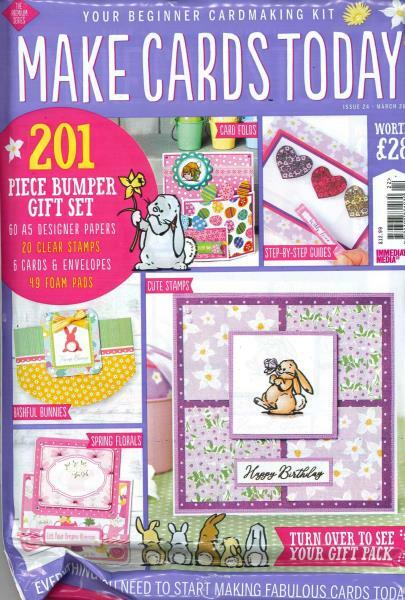 Buy a single copy or subscription to Make Cards Today magazine. 219 piece gifts set – amazing cards to make for every occasion! wonderful magazine for any card crafter, all the instructions are easy to follow, one learns new card making technique, and the attached gifts are excellent.